A look at vacation home rentals from around the nation. 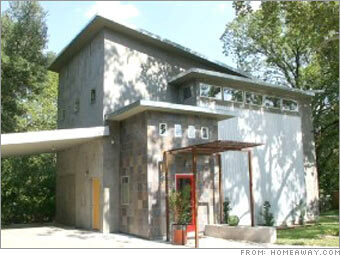 Description: The biggest attraction of "Rusty Irons," a modern style home, is its location in downtown Austin. Music lovers can easily stroll to the bars on sixth street (and stumble home again), one of the greatest concentration of popular music clubs in the United States. Other area attractions include hiking in the nearby "Hill Country," the University of Texas with its Johnson Presidential Library and the Congress Street Bridge, the site of a colony of 1.5 million Mexican free-tail bats, which emerge nightly, starting in February, on insect-foraging flights. The house features an open floor plan with gourmet kitchen, two living rooms, flat screen TVs, garden and patio with gas grill and outdoor furniture set.